An illustration of the Base Village project. The darker-colored buildings on the right of the diagram are the completed buildings in the core of the village. The Viceroy hotel is the darker-colored Y-shaped building on the left. The illustration also shows the partially completed buildings and the yet-to-be started buildings. The black numbers are lot numbers. The owners of the project are contesting the values placed on the commercial property in the core of the village and the value of the Viceroy hotel. In all, the owners say the property should be valued at $94 million less than the county thinks it should be. SNOWMASS VILLAGE — The Pitkin County assessor has estimated the value of the properties in Base Village, now held by four European banks in the name of Snowmass BV HoldCo, to be $190 million. But the banks’ representatives have appealed a portion of the county’s valuation to the state and are seeking to shave $94 million off the county’s estimate. The county’s assessment reflects its estimate of what the properties in Base Village were worth on June 30, 2010, which was the date the county was required to use to set values for the 2011 tax year. The largest area of dispute between the county and the banks is the value of the Viceroy hotel, which includes 154 condos and hotel rooms and eight commercial spaces. The assessor’s office valued the hotel’s condos and its commercial spaces at $111,543,000 based on sales of comparable ski-in, ski-out condos at the base of Snowmass Ski Area in 2009 and the first half of 2010. The banks have responded, however, by saying that the Viceroy’s condos and its commercial spaces are only worth $23 million, according to their petitions filed with the Colorado State Board of Assessment Appeals. The $88.5 million difference of opinion between the county and the banks over the value of the Viceroy hotel is primarily based on how the two sides view the condos in the hotel. The county reasons that since the condos are individually platted, or registered with the town of Snowmass Village, they could be sold like any other condo in Snowmass Village, according to Larry Fite, Pitkin County’s deputy assessor. In all, the county estimates the condos are worth $102 million. And in fact, the developers of the Viceroy, The Related Cos., had put $110 million worth of Viceroy condos under contract before the financial crash of 2008. A majority of the buyers then successfully sued to get out of their contracts and get their money back. Since then, none of the condos in the Viceroy has been sold, and the hotel’s new owners — a consortium of four European banks led by Hypo Real Estate Capital Corp. — are renting out the condos on a nightly basis as hotel rooms. And so the banks are taking the approach that the condos are worth what they will generate as hotel rooms, or what’s known as the “income” approach to estimating the value of property for tax purposes. 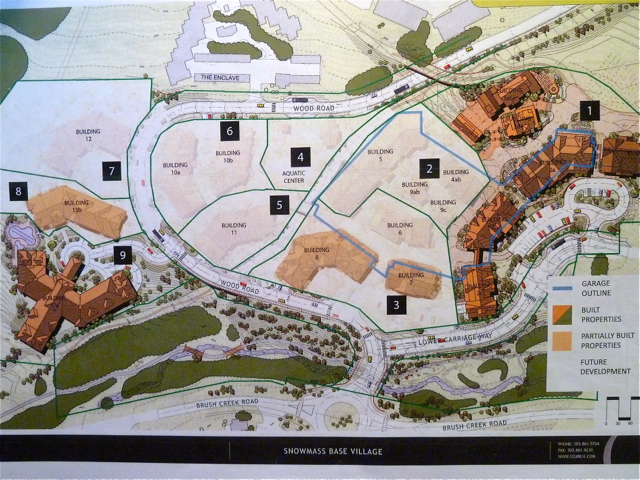 The county and the banks also disagree over the value of eight existing commercial spaces owned by Snowmass BV HoldCo in Base Village, outside of the Viceroy. The county put the value of the commercial spaces — and the two lots that make up the still incomplete core of the village — at $46 million. The banks have countered, saying the value is closer to $41 million. A court-appointed receiver for the banks originally appealed the valuation in the name of the prior owner, Base Village Owner LLC. There are technically two appeals, one for the Viceroy property and one for the other commercial property in Base Village. About $32 million worth of property in Base Village, as valued by the assessor, has not been contested by the banks. This includes unsold condos in the Capitol Peak Lodge building and other property. The appeals over Base Village property were first heard and denied by the county assessor and then were appealed to the county’s Board of Equalization, which is made up of the county commissioners. Now the appeal has reached the state level, and a hearing is expected to be held this spring in Denver. After foreclosing on Base Village last year, the banks hired Lowe Enterprises Real Estate Services to manage the project, and Michael Tande, a vice president at Lowe, is now overseeing the appeals process. The owners of Base Village and the county have to exchange information on their differing estimates at least 10 days before a hearing, according to Mike Beery, the administrator for the state Board of Assessment Appeals in Denver. The Pitkin County Assessor’s Office ran a report at the request of Aspen Journalism that includes the value of all the property owned in Base Village, whether it is owned by Snowmass BV HoldCo or any other owner. In all, the assessor put the value of all the property in Base Village, as of mid-2010, at $282 million. An entity controlled by Related, Related WestPac, bought the project from Aspen Skiing Co. and Intrawest in 2007 for $169 million. At the time, Related forecast $1.3 billion in gross revenue from the project and a profit of $194 million. It was expecting $1.2 billion from residential sales, $126 million from commercial sales and $40 million from metro bonds sales, according to an exhibit from a lawsuit in Delaware between Related and investors in the project. Editor’s note: A version of this article was also published on Feb. 29, 2012, in The Aspen Times and in the Snowmass Sun.